Membership is just £15 (or two for £20). 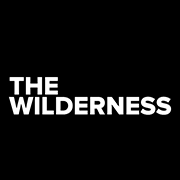 This entitles you to a whole year of fantastic discounts and deals at over 110 of the very best independent cafes, bars, restaurants, theatres, pubs, cinemas and shops in Birmingham. From your new coffees to old books and the odd slice of cake in between, we’ve got over 110 discounts and deals to choose from. From the best cafes and restaurants to beloved bars and shops, you’ll be spoilt for choice. 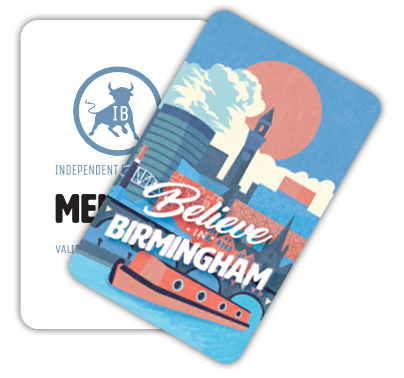 Grab an IBcard and become an Independent Birmingham member today. Enjoy year-long discounts for just £15. Or grab two for £20 – making it less than £1 a month for a whole year of discounted discovery! Every time you shop local you’re putting money back into the local economy. For every £1 spent locally up to 70p stays local in comparison to 5p when spent online or in a chain. Grab an IBcard today and support local Birmingham businesses. The Independent Birmingham Festival At The Bond Returns!